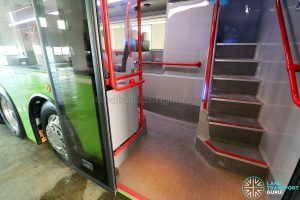 After a two-year hiatus, the ADL Enviro500 3-Door Concept Bus has resurfaced. 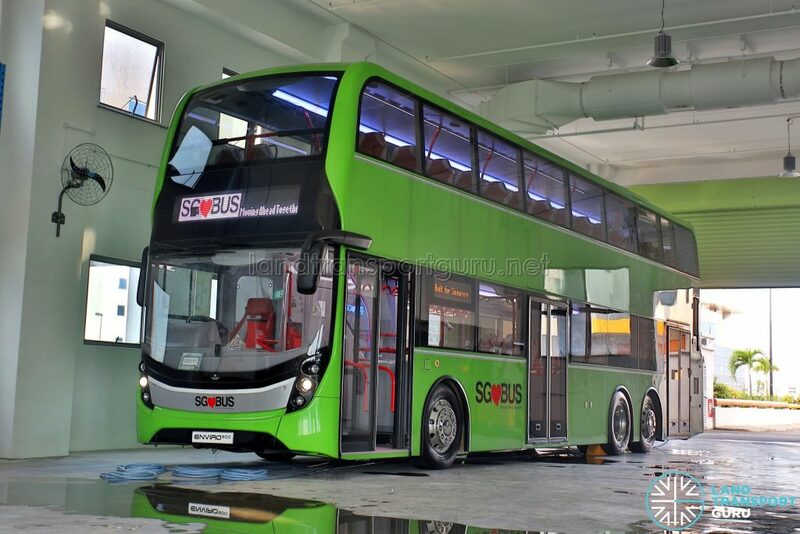 The bus is was spotted at Alexander Dennis’ local office at Woodlands Spectrum 1, having undergone modification works to fit a new air-conditioning unit. 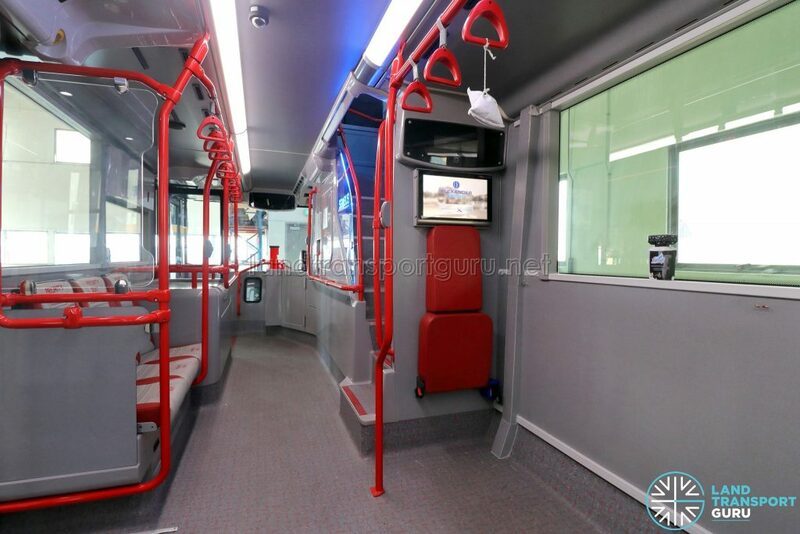 The bus was first exhibited in March 2016, as part of Land Transport Authority (LTA)’s Our Bus Journey Carnival at Ngee Ann City. 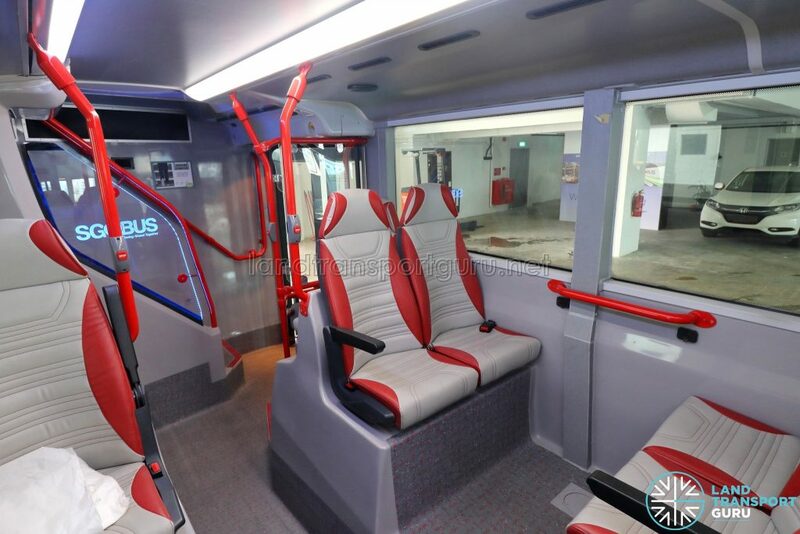 The bus is one of two concept buses commissioned by LTA to provide the public with a glimpse of how buses would look like in the future, the other being a MAN A95 3-Door Concept Bus which has since undergone revenue service trials with Tower Transit and SBS Transit. 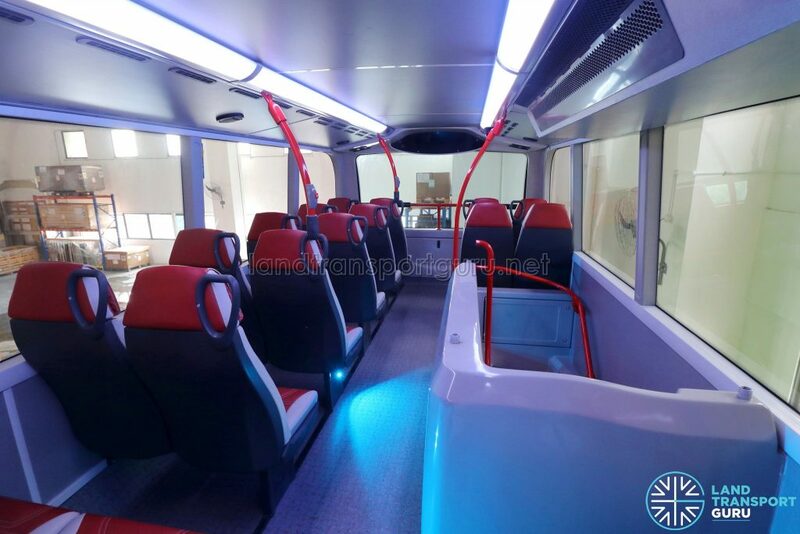 Alexander Dennis (Asia Pacific) Ltd was awarded an LTA contract (PT236) for the design and construction of a 3-door concept bus for S$498,500.00 in October 2015, with the ADL Enviro500 3-Door Concept Bus being the final product of this undertaking. 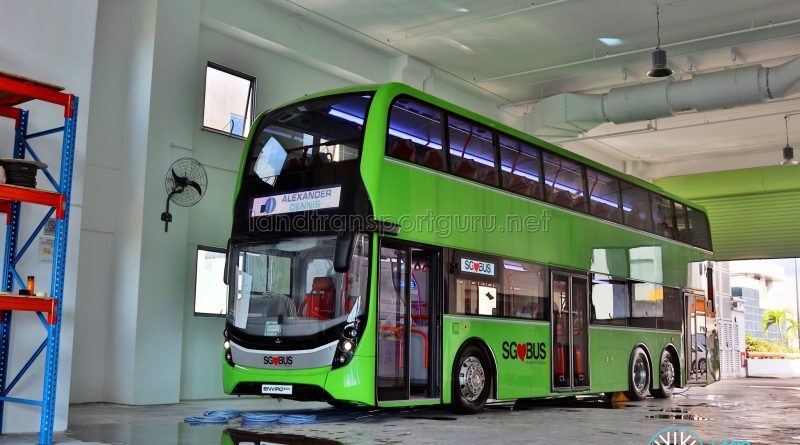 Singapore Technologies Kinetics Ltd, who was also awarded the contract, developed the MAN A95 3-Door Concept Bus. 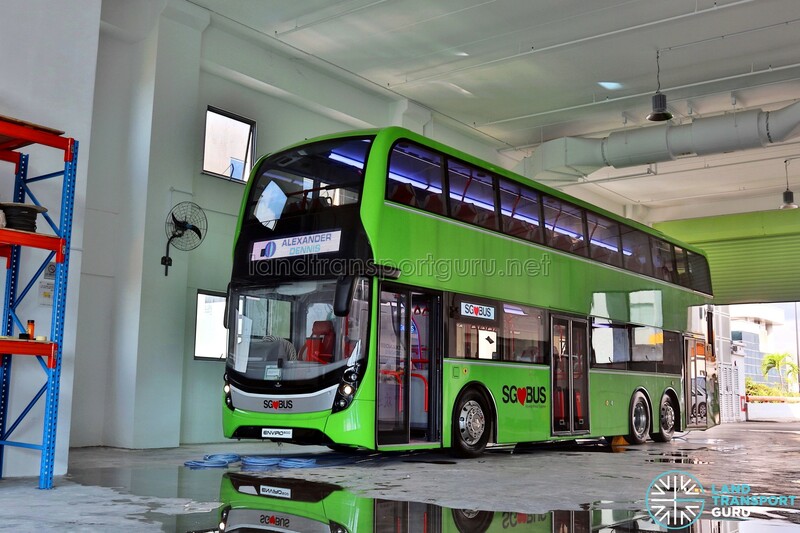 The bus is a 13.0-metre long Alexander Dennis Limited (ADL) Enviro500 MMC, with the exterior based on a 2015 facelift. 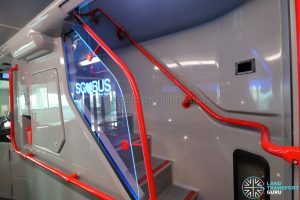 Available in the market in lengths up to 12.8-metres, the Concept Bus was built on an extended version of the original chassis to accommodate a rear staircase and door above its rear overhang. 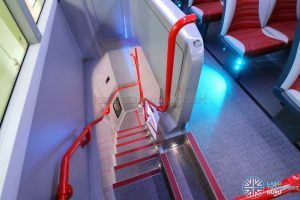 Lower and upper deck seating was reduced to make way for the rear staircase, which leads to a third door at the rear of the bus. 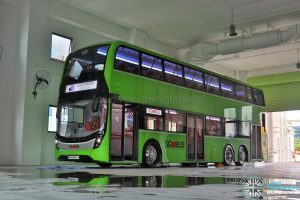 The exterior styling of the bus is borrowed from the existing ADL Enviro500 MMC product sold in foreign markets (such as Hong Kong). 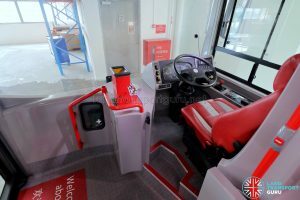 The chassis was built at ADL’s chassis assembly plant at Pasir Gudang, with exterior panels, interior panels and other fittings from ADL’s production facilities in the United Kingdom. 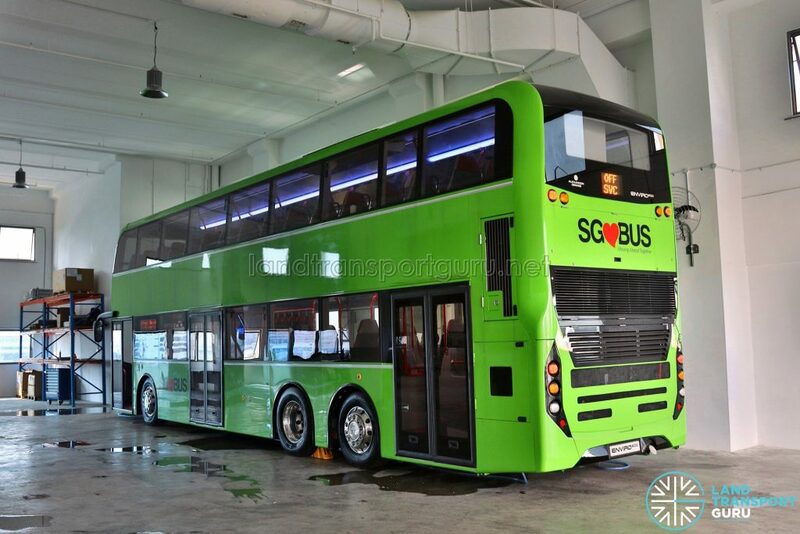 Assembly of this bus was performed at Soon Chow, a local bus bodybuilding company. 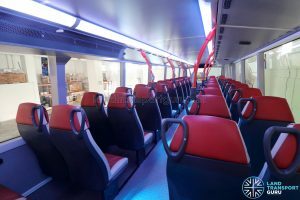 At LTA’s request, Alexander Dennis had worked with LTA and Eberspächer to install a new air-conditioning system on the bus. 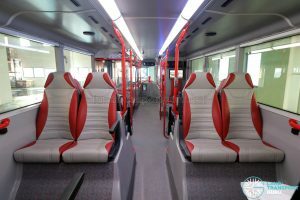 Previously, the bus was fitted with a domestic air-conditioning unit which was inadequate for cooling for the bus cabin. 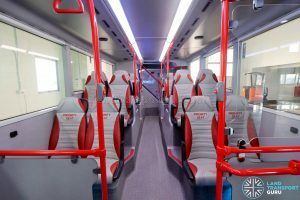 Air-conditioning components were retrofitted to the upper deck and the rear of the bus, where additional holes were cut out on the engine cover to accommodate airflow for the condenser unit. 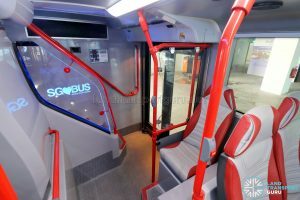 Additional panels were also cut out on the rear sides of the bus, which offers maintenance access to the aircon compressor pumps. A power distribution box was also placed at the rear of the upper deck. 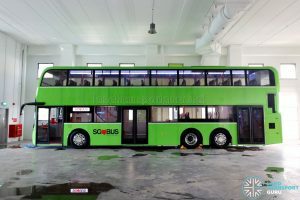 The LTA intends to put the bus on permanent display at its Bedok Campus, located at Chai Chee, which presently houses the LTA Academy and Singapore Rail Academy. 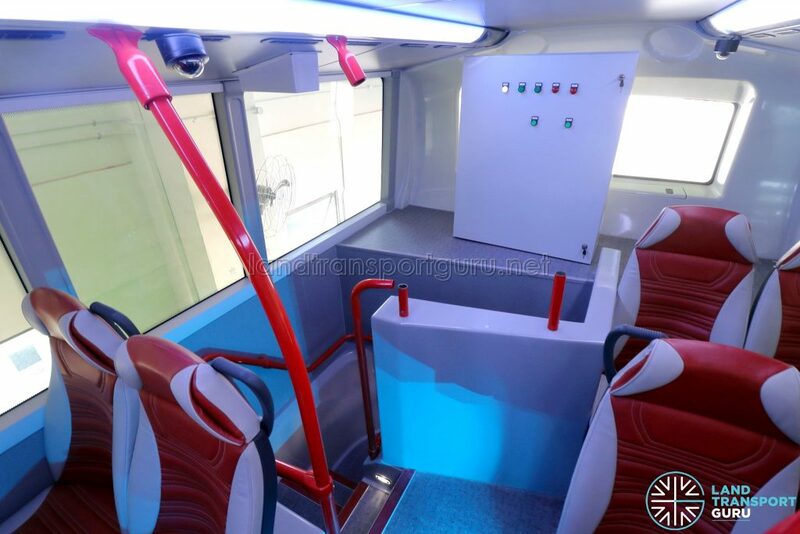 The bus will also be displayed at various other events in the coming years. 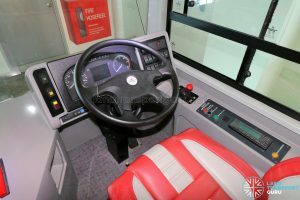 Other minor modifications include the fitting of an announcement system on the right of the bus driver’s cabin, next to the door controls. 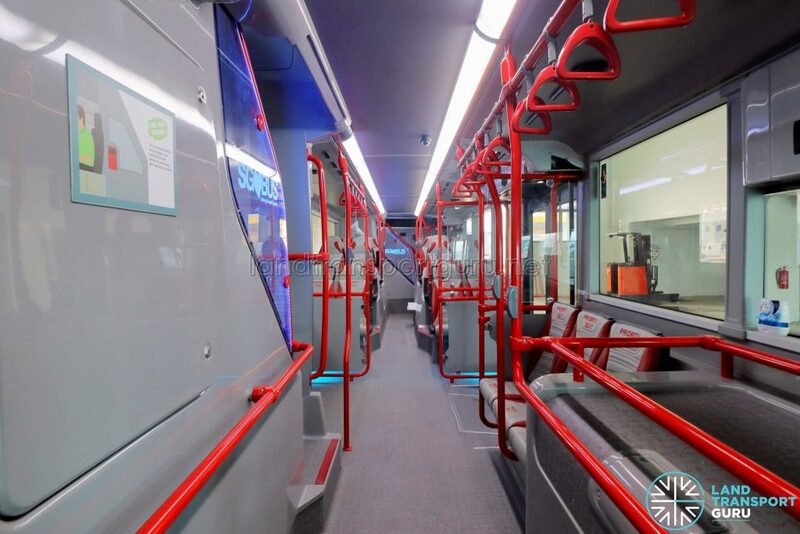 Air-conditioning equipment on the bus was supplied by Eberspächer. As with other vehicle components, it operates on a typical 24V DC vehicle power supply. 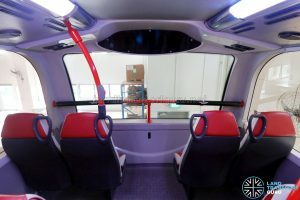 However, the concept bus is also fitted with an AC-to-DC converter for mains electricity, which will power the bus for display purposes. Two parallel split-type air-conditioning systems are installed; one for the upper deck and one for the lower deck. 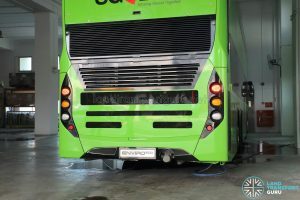 The condenser units are placed at the rear of the lower deck (within the engine bay) with additional holes cut out of the engine cover to accommodate airflow. Three evaporator units are mounted around the bus. 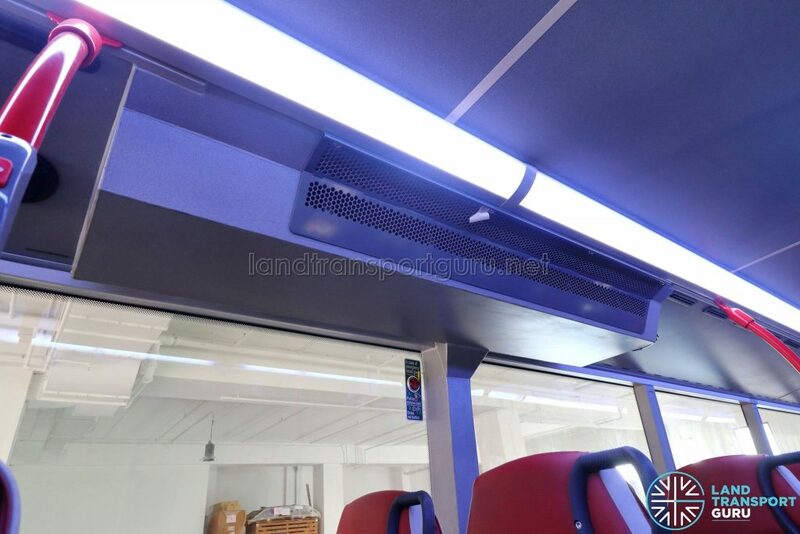 One unit is mounted above the condenser units at the rear of the bus, and the other two are located on the ceiling of the upper deck. 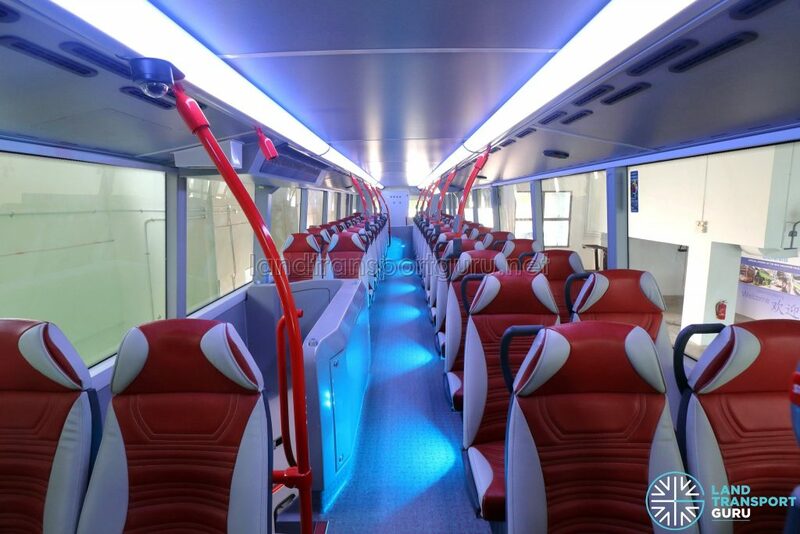 For the upper deck units, condensate pipes are installed to drain water down to the floor of the bus. 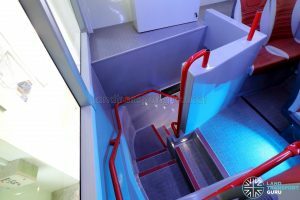 The concealed plumbing runs the height of the bus, and can be identified by enlarged window pillars on the upper and lower deck of the bus.